This rare 21" statue of St. Theresa depicts her in the Carmelite habit and the crucifix bundled in roses in her arms. She has a beautiful, hand painted face and fine details such as painted fingernails and eyelashes. She also has a hand-made tiny rosary hanging at her waist, cloth veil, cloth flowers, and golden halo. 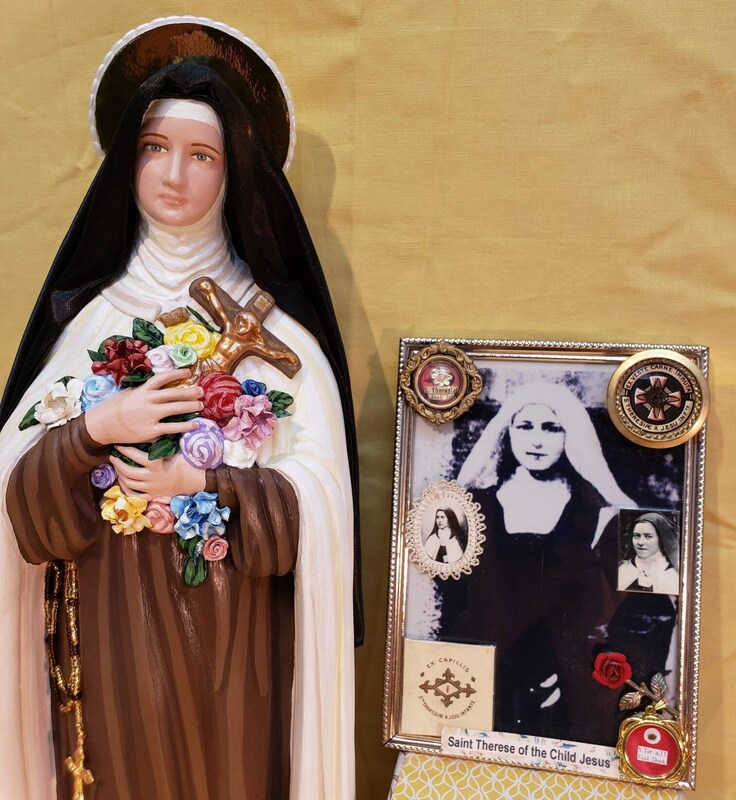 We will also touch a 1st class relic of St. Therese to your finished statue. Amazingly beautiful statue! They do wonderful work and put so much love and care into these works of art. I highly recommend for anyone looking for statues. Thank you!